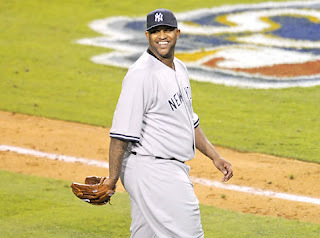 CC Sabathia, with help from Alex Rodriguez, has put the Yankees up 3-1 in the ALCS, one win away from the World Series. This is so exciting! It's exciting not only because he'd pitch in the Fall Classic, but there's a chance he could hit a home run.